Lyd-, lys- og bildeforeningen (LLB 2019) will feature Norway and Europe’s leading distributors in the professional market who will be presenting the newest and best pro audio equipment in the world today. avon, VUE’s top distributor in Norway, will be exhibiting their complete VUE arsenal all week long. True to VUE’s reputation for resetting the performance benchmark in each category it competes, avon will showcase VUE’s integrator-optimized audiophile-quality e-Class at LLB 2019. The benchmark-setting e-Class range includes the e-352 and e-351 Nano speakers, the new es-269 subwoofer with patent-pending ACM technology, and the VUEDrive V242 Systems Engine. avon will also be showcasing one of VUE’s prized products that have been extremely successful in many of their installations, the h-208 dual 8-inch high definition full range system. The h-208 is a unique loudspeaker which provides what we believe to be the most output available in any system less than 12 inches in height. The h-208 combines a full complement of VUE’s most advanced transducer technologies, with powerful onboard VUEDrive system electronics, into a low-profile configuration ideal for low-ceiling applications where output and fidelity are critical. 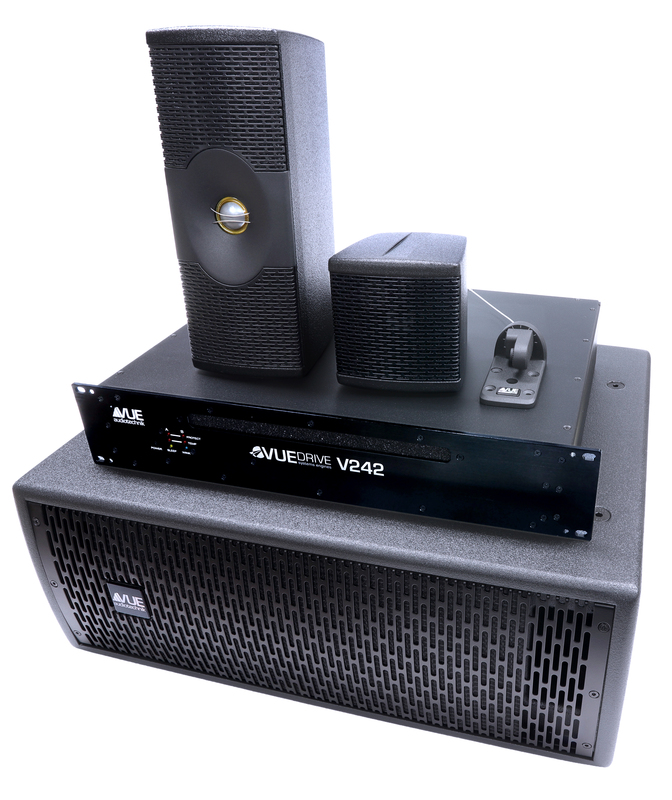 avon will have an extensive range of VUE products on display at their booth, including the complete al-class hybrid line array system and the h-221 extended low-frequency ACM loaded subwoofers. They will also display the award-winning hm-108A compact stage monitors, in addition to a selection of h-5s, h-8s and more.